For use in gasoline or diesel engines. Works with all motor oils. Does not void manufacturer's warranties. 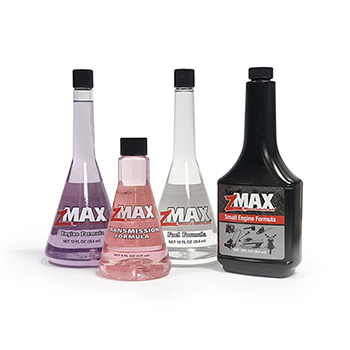 Add 12oz zMAX Engine Formula to engine oil after each oil change. Will not overfill reservoir. Add 12oz zMAX Fuel Formula to fuel tank (gasoline or diesel) with at least 1/4 tank of fuel. Use every 6 months or 6,000 miles. From ROBERTO RODRIGUEZ of Hialeah, Florida on 3/17/2019 . 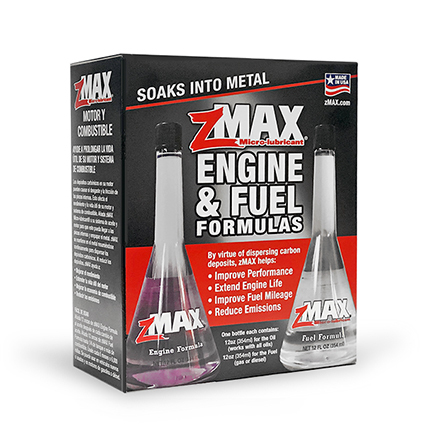 I HAVE BEEN USING THE ZMAX ENGINE AND FUEL FORMULA SINCE IT WAS INTRODUCED IN THE INDUSTRY. I CURRENTLY OWN SEVERAL VEHICLES AND I USE IT AT EACH OIL AND FILTER CHANGE...ON MY 1972 CORVETTE, MY 1980 CORVETTE, MY 2006 CORVETTE MY 2003 FORD F150 LARIAT AND MY 2006 JEEP LIBERTY. Response from zMAX: Thanks for being a loyal zMAX customer! From Anonymous of Orofino, Idaho on 3/16/2019 . Been using this product in my vehicles for 4 years now. I use it as recommended every 6 six months. No problems. Response from zMAX: Always glad to hear from our long-term zMAX customers! From Michael Christie of Saint James, New York on 1/21/2019 . Noticed within one day my engine running smoother, quieter, and with better performance. From A. Patel of Jacksonville, Florida on 9/20/2018 . My 2010 Acura TL SH had been burning nearly 4 quarts of oil between oil changes, which resulted in a rough engine (especially when I was running low on oil). All the online forums indicated this could be normal, so I was close to trading in my car. On the way home from a business trip I sat next to a car expert, who recommended I try zMax to see if it would help. I added 1 bottle to the crankshaft and 1 to half a tank of gas. To my amazement I went through a whole oil change without adding any oil, plus my car runs like a brand new car at 140,000 miles. Thank you zMAX! Response from zMAX: Glad zMAX could help! Engine runs steady and smooth! From M. Bohn of Oxford, New Jersey on 9/20/2018 . Ok, I want to start out by saying that I've tried many oil additives and fuel treatments over the years that claim to do this and that. Well today I decided to add the zMAX oil and fuel treatments to my 2007 Jeep Wrangler with 107,700 miles on the odometer. Before adding zMAX the jeep had a very slight lifter tick at every cold start up, which would go away after oil got flowing. I read the instructions and added your product as instructed and WOW!!!! I'm in complete amazement! Instantly the tick went away and the engine idles extremely steady and smooth, with zero noise! After being blown away by the results I quickly ran out and bought zMAX for my 2015 Chevy Silverado, my 87 Buick Grand National and my wife's 2011 Mercedes SUV. I will forever use this product in all my vehicles at every oil change! zMAX works as advertised!!!!! 12/7/2018 – I have a 1997 Honda Magna 750cc 4 cylinder motorcycle with some issues. My issues are carb and carbon deposit related. . . . 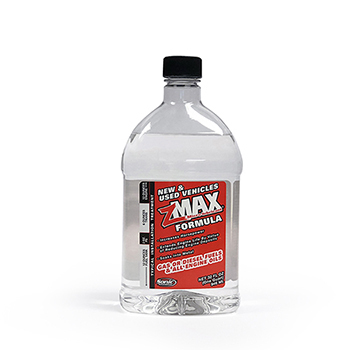 Response From zMAX: Use 2oz per quart of oil and 2oz per gallon of fuel.